As a result of the protests, many protesters — including McKibben — were arrested. But President Obama could not ignore those protests, and his administration announced a delay in approving the pipeline until after the 2012 presidential election. Opponents of the pipeline cheered the decision, even as the White House denied that the protests had influenced the decision. But most agree that McKibben’s actions directly led to the delay, and I for one admire him for standing up for his cause and being an effective change agent. But while I agree with many of McKibben’s positions, I am going to lay out the reasons here that I disagree on this particular issue. For many opponents of the pipeline, my reasoning won’t make any difference. You are either with them (i.e., you care about the environment) or against them (in which case you don’t care about the environment). But as I have watched this debate play out, I saw an incredible degree of naivety and quite a few disingenuous and specious arguments, and thus I feel like I need to make my stand. My goal is to raise the level of energy dialogue, and at times I was appalled at the misinformation being put out there (on both sides) over this issue. Let me first review some of the things I believe about energy, to highlight why I come down on the opposite side of this issue from Bill McKibben. Like Bill, I want to see the world become less dependent upon oil. For the U.S. in particular, there are issues of national security, as well as environmental issues because of our heavy dependence on oil. Our economy is at risk due to high oil prices that are are being influenced by many factors the U.S. can’t directly control. Because I believe oil prices are likely to remain highly volatile, I believe this is an intolerable risk for the U.S. (and global) economy. Further, oil is a depleting resource, and uncertainty about future oil supplies increases the risk to the global economy. There are also legitimate environmental concerns over tar sands development — both in the disposal of the tailings and the greenhouse gas intensity of the oil sands themselves. • Oil dependence is a national security issue for the U.S. There are some effective ways of reducing oil consumption. One is through higher prices. Because the U.S. is heavily dependent upon oil, high prices have had a chilling impact on the economy. Economic activity has slowed, and people have started making choices for more fuel efficient cars and mass transit. The net result is that in the U.S., oil consumption has fallen by 1.5 million barrels per day in the past five years. (However, in developing countries that are less dependent upon oil, consumption growth more than offset declines in the developed world). Another way to limit oil consumption is by simply cutting off the flow of oil. This is what happened to the U.S. during the 1973 oil embargo. Overnight, we saw a drastic curtailing of our oil imports, and an ensuing economic crisis. Longer-term, the impacts of the oil embargo were to shift the U.S. automotive industry toward more fuel efficient cars, but in the short-term many people were hit hard by much higher oil prices. If we had done more forward planning and began the transition to more fuel efficient cars before we had a crisis, much of the pain could have likely been avoided. I believe the ideal situation is to make sure we have stable supplies of oil while working hard to make sure we don’t need them. This is similar to the reason we have a Strategic Petroleum Reserve. It is there in case we really need it, but we hope we don’t have to use it. This describes my feelings about offshore drilling, continued oil exploration, and development of the oil sands. I hope that we can manage a “peak demand” scenario in which oil production goes into decline because we are moving in the direction of alternatives and conservation and simply don’t need the oil. But I think it is an extremely risky strategy to try to hasten the move to alternatives by restricting oil supplies. In fact, there are numerous risks inherent in such a strategy, the biggest of which is that supplies fall short before alternatives can fill the gap. In this case, economies are wrecked and people suffer. But this is effectively the strategy being pursued by those who are opposed to the Keystone XL Pipeline. The truth is that most opponents of the pipeline — just like the rest of society — are dependent upon oil, but they rationalize this as being due to reasons other than the fact that oil is the most affordable liquid fuel option. They have convinced themselves that our addiction to oil is because of the oil companies, rather than our own personal preferences. Gas taxes are something politicians deathly fear for good reason — people get angry about higher energy costs. Thus, I think the pipeline opponents underestimate the potential impacts of there not being enough supply to meet demand in the future. Opponents believe this risk is worthwhile given their dire assessment of climate change if the oil sands development continues. In fact, Keystone opponent and NASA scientist Jim Hansen has said that the pipeline would be the “fuse to the biggest carbon bomb on the planet” and that if it is built it is “game over” for the climate. There are many things to be said here regarding oil sands and climate change. Over the past few decades, production from the oil sands has grown steadily with no signs of slowing. Current production is more than 1.5 million barrels per day, with most of that being exported to the United States. Canada projects that by 2020 production will be over 3 million bpd, and by 2030 it will be 5 million bpd. None of this growth is contingent upon the U.S. approving this pipeline. Instead, it hinges upon oil prices, and my view is that 1). The world will continue to demand oil; 2). Supply will be unable to stay ahead of demand growth, and 3). Renewable substitutes will not be be able to scale quickly enough to close the gap (see the electric car example later in this essay). My view is that regardless of what actions we take — short of going to war with China and India to stop their economic development — carbon emissions will continue to climb. My hope is that the impacts of climate change will be less severe than the worst predictions, because I see no pathway to stopping them (even if carbon emissions in the West went to zero). Some will respond “But we must” or “So you are saying we should do nothing?” and to that I say “Show me how to stop emissions in regions that have a fraction of the West’s per capita emissions.” Just because we “must” do something doesn’t mean we can actually do it. We “must” cure cancer and heart disease, but they still kill many people each year. I see mostly pie-in-the-sky from people who think we will rein in carbon emissions in China and India (or who believe that the West is mostly responsible for the world’s carbon emissions). Polls have shown that the vast majority of the Chinese are not concerned about climate change, and the vast majority of Indians never heard of it. So when people argue that we must lead by example, 1). Our per capita consumption is already an order of magnitude higher than theirs, thus we aren’t in much of a position to lead; and 2). Even if we were, they don’t want to be led on this issue. Relative to Asia Pacific’s coal consumption, the increases in emissions from oil sands are going to be mere noise on the graph. If climate change is going to doom us, then I am afraid to say we are already doomed — whether or not the oil sands are developed. Many opponents of the pipeline acted as if a pipeline crossing the aquifer would be unprecedented. As pointed out in a recent column, we already have pipelines crisscrossing the Ogallala. To show how naive this view is, below is a map of the U.S. pipeline system with the Ogallala drawn in (hat tip to R-Squared reader Steve Funk for this one). So, there are numerous pipelines already crossing the Ogallala. Further, cities have been built on top of the aquifer. Industrial activity takes place above the aquifer. An enormous amount of farming is conducted above the aquifer. If it was that easy to contaminate the Ogallala, then it would be contaminated all the time because farmers put tons of herbicides, pesticides, and fertilizers on the ground above the Ogallala every year. Yes, pipelines do sometimes leak. In most cases the locations of the leaks are predictable — at valves, sampling points, and various connections — and precautions like secondary containment are in place. That’s why despite pipeline leaks, only a tiny fraction of them even have a chance of ending up in a waterway. We still end up with oil getting into waterways with a small fraction of these leaks, to be sure. But the idea that the Ogallala could be contaminated that easily was never grounded in reality. Now we need TransCanada to listen to the American people tell them “no” to the pipeline as a whole. What Nebraska will see is that there is not [sic] safe route for a leaky tar sands pipeline through any of their farms and communities. And what the nation knows is that we can’t fight climate change and build yet another tar sands oil pipeline. McKibben is wrong here on multiple counts. Someone has to build that pipeline. TransCanada is getting ready to sink billions of dollars into that project in the U.S., creating private sector, shovel-ready jobs that opponents are trying hard to minimize. For instance, critics seem to totally discount a one or two year construction job as not being a real job. That could be a lifeline for someone who is unemployed in a very difficult economy. The irony is that critics use the “buying time” argument to suggest that the delay is good for the climate, but they dismiss it when someone buys time toward finding a permanent job. McKibben is also wrong about nobody needing to work there once it is finished. These pipelines must be inspected and maintained on a regular basis. There will be a number of pump stations and sampling points that will need to be inspected and maintained. Then the crude oil must be processed. One of the arguments against the pipeline is that some of the refined product may be exported. So what? If we import crude oil and export finished products, we create jobs in the process. You know who else does that? China. Finally, it is another bit of irony that some opponents would argue that potentially higher gasoline costs in the Midwest — as a result of the pipeline — might cost jobs. Probably 90% of the opponents would be in favor of higher gas prices any other time because of the dampening impact that has on oil demand. People who know me will tell you that I am a very direct person. If I want to see “X”, I will argue for “X.” I won’t argue for “Y” in the hope that we can eventually get to “X.” I also loathe misleading arguments that attempt to achieve a particular goal — even if the goal is something I want. Some people like that approach, and some have criticized it as ignoring political realities. In fact, an Executive Vice President at a former company once told me that I would never rise to upper management unless I mastered the art of politics and stopped being so direct. But pro or con, my desire for direct arguments is a big reason I criticize the opposition’s (and frequently politician’s) arguments. They are beating around the bush with arguments about jobs and leaking pipelines instead of more directly confronting the real reason for their opposition to the pipeline. So much time was wasted on the Ogallala issue only to have TransCanada immediately call their bluff. Now opponents are more focused on the real reason for their opposition, but they burned a lot of political capital on side issues. When faced with a difficult decision, I try to calculate the outcome of what happens under various scenarios. In this case, I ask myself what will happen if the pipeline is approved versus if it is rejected. Those protesting the pipeline believe that by taking a stand they are going to slow or even stop the development of the tar sands, thus striking a blow against climate change. I don’t think that view is remotely credible, and thus I weigh the risk of them being wrong and the potential downsides of the actions they propose to take. My view is that failure to approve the project will result in one of several possible outcomes — none of which meet the goals of those opposing the pipeline. One is that the project will just wait another year to see if approval comes. As they wait, the oil sands will just get to the market the way they currently do, which are more carbon intensive routes. Another option is that the Enbridge Pipeline project — which already crosses the U.S.-Canadian border and thus does not require U.S. government approval — gains the advantage and ends up carrying the same oil sands crude to the Texas Gulf Coast. This brings me to a slight digression, which is “Why did the pipeline require U.S. approval to begin with?” In fact, most pipelines do not require federal approval. This one did because it crossed the U.S.-Canadian border. But we already have lots of pipelines that cross the U.S.-Canadian border, and some of the competing proposals are to build systems on either side of the border that route the oil through an already existing trans-border pipeline. That would not require the approval of the Obama Administration. Start with electric vehicles, which are essentially the only pathway by which renewable electricity sources like wind, solar and geothermal power would have any impact on our oil consumption, because less than 1% of US electricity is now generated from oil. 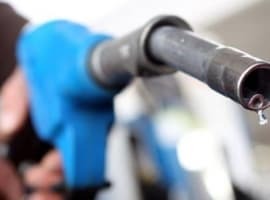 Even if EVs turn out to be the long-term solution to our transportation needs, as I suspect, it will be many years before they can displace enough fuel demand to make a dent in our oil addiction. The current goal is to have a million EVs on the road by 2015. As ambitious as that target seems compared to current sales of less expensive hybrid cars, that would constitute just 0.4% of the 238 million cars and light trucks in the US as of 2008. Moreover, even if EVs replaced cars of only average efficiency, one million of them would displace just 31,000 barrels per day of gasoline. In other words, it would take more than 20 million EVs to save the volume of oil that the Keystone Pipeline could have delivered annually. Unsaid here, but implied, is that a million electric vehicles on the road by 2015 is a pipe dream — but even the pipe dream doesn’t make a dent in our oil consumption. And that, in a nutshell, is why I think blocking new oil supplies is a bad idea. My fear is that it risks economic catastrophe due to the inability of renewables to fill in for the lost oil supplies. It is much less risky, in my view, to keep as many options open as we possibly can. The worst possible outcome for the U.S. — but now a more realistic possibility — is that Canada builds a pipeline to the coast and ships that crude to China. This is the worst possible outcome because the U.S. will have to source crude from more remote destinations and in many cases from countries whose interests are opposed to U.S. interests. It would be ironic if as a result of this decision we end up importing more from Venezuela’s oil sands while Canada’s oil sands end up in China. Opponents have not seriously considered this very real possibility, and if this is what happens then their actions will have actually increased global carbon emissions. The Canadian Finance Minister visited China in the wake of the announced delay, stating that the decision may “accelerate Canada’s efforts to ship crude to Asia.” In fact, Canada’s Prime Minister communicated this directly to Chinese President Hu Jintao. China is already snatching up oil sands firms as quickly as they can — the surest sign that oil sands development is not going to slow down. 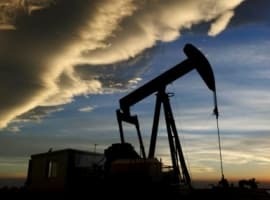 And if this happens — U.S. demand remains high, crude from the oil sands is shipped to China, and the U.S. imports crude from countries with perhaps a dirtier environmental and/or social footprint — the outcome will be much worse than if the pipeline was delivering Canadian oil to U.S. refineries. While we play political games, China is licking their chops in the view that this will enable them to gain more of the oil sands for themselves. In the next few years, the U.S. is likely to face even higher oil prices and will be scrambling to meet demand. The idea that China will lock up supply from America’s close ally while we continue to import oil from unstable regions seems like a bad joke. The U.S. loses out on billions of dollars in private investment that would create jobs for building the pipeline, and jobs for maintaining the pipeline and processing the crude oil. Incidentally, one of the reasons some Canadians were against the pipeline is they didn’t like the idea of exporting jobs to the U.S. And personally, I don’t understand why Canada doesn’t just build a refinery themselves, keep those jobs at home, and export finished products. That is the path being taken by many oil exporters. I believe that the U.S. will face an oil supply crunch in the next few years that has great potential to put us into a much deeper economic hole. I believe that the more desperate we — and the rest of the world — become, the more we will turn to ever dirtier sources of carbon. We have seen unintended consequences arise again and again from those who had good intentions, and the threat of those unintended consequences is why I can’t stand with the protesters on this issue. I respect their dedication, but I don’t believe the outcome will be desirable for anyone. To close, let me make some comments on the protesters themselves. I have a high degree of respect for sincere people who are trying to make the world a better place, and I believe most of the protestors fall into this category. In most cases, these are people who believe that climate change 1). Is a grave threat to civilization; 2). Can be stopped by taking stands like the one they took against Keystone. I believe that these are sincere people who believe they can make a difference; why else would they risk arrest to protest the pipeline? And in fact, they have made a difference. It is unlikely that the decision would have been delayed without the massive protests. But at the end of the day, I disagree with them on some important points. I don’t believe shutting down the project will do anything to slow the development of tar sands, and thus it will do nothing to impact global carbon emissions. If I believed that protesting would actually have the desired impact of weaning the U.S. off of fossil fuels, I would be out there protesting with them. Perhaps Bill McKibben and his fellow protestors are aware of the things I have written about here, but they said “Well, we have to do something.” I respect their right to try to stop the pipeline, but I hope they also respect my right to disagree. I don’t want this summary to serve as an alternative to the essay itself, because my reasoning behind the points is key to the points themselves. But being that this is a long document, the following summary will serve as a quick refresher of the key points made above. • Tar sands development has a negative effect on the environment. • Carbon emissions will continue to climb because of China and India, even if the tar sands weren’t developed. • The U.S. may end up importing more oil from Venezuela’s oil sands and relying on supply from unstable regions. Wonderful article. Very well thought out and articulated. I agree 100%. The US needs to stop making bad decisions. In the 1930s they made things happen...today we dither. Yes. Good points right down the line.Robert Rapier has written an eminently rational discussion of the Keystone XL issue. As such, it will be automatically rejected by the greens.Mr. Rapier's problem is that he is too rational to comfortably share the same boat with most people who believe in peak oil doom, and carbon hysteria doom. He will never agree with the policies that green doomers of the energy suicide and energy starvationist variety recommend. The author's points are invalid:1. Canadian First Nations tribes who hold land blocking the pipeline route are opposed.2. 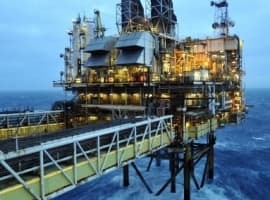 This oil would mainly go for diesel and jet fuel bound to Europe and South America, where diesel is in much higher demand... according to the industry's own reports (Valero for one)and energy economists.3. The U.S. Energy Information Administration reports we already export 2 million barrels of oil and oil distillates to foreign countries daily and predicts that U.S. demand declines through 2035.4. Yes, other pipelines cross our international border. KXL is different because it would eliminate the glut of Canadian oil in the Midwest by opening a pipeline from Cushing,OK to Texas refineries... Decreasing supply will raise oil cost and raise fuel prices in our Nation's breadbasket, increasing food prices by raising farm diesel costs $2 bill.